Williams, 58, is unlikely to drop the f-bomb during her keynote address at this week’s rally to commemorate the nuclear devastation unleashed on Japan 64 years ago. She is scheduled to speak on the steps of Burlington’s City Hall at noon this Thursday. At 1 p.m., she’ll head over to a public luncheon at Halvorson’s Upstreet Café. Trained as a teacher of English as a second language, Williams came to social-justice activism during the Vietnam War era by attending antiwar demonstrations at the University of Vermont. About 10 years later, someone handed her a pamphlet on a subway platform in Washington, D.C., that read, “El Salvador: Another Vietnam?” Intrigued, she soon found herself in a church basement, listening to a well-dressed Salvadoran explain how the United States was funding a murderous military dictatorship in his country. Williams helped him by handing out more pamphlets. From 1986 to 1992, she directed and developed humanitarian relief projects for the Los Angeles-based Medical Aid for El Salvador, which created a network of 20 U.S. hospitals that donated medical care to Salvadoran children wounded in the war there. The job was Williams’ first introduction to the scourge of landmines, which were used heavily in El Salvador. One of her duties was to find artificial limbs for kids who had lost their arms and legs in explosions caused by the devices. That experience led her to launch the International Campaign to Ban Landmines in 1991. Within six years, the ICBL had 1000 affiliated organizations working in 60 countries and had orchestrated the signing of the Ottawa Treaty; the 133 signatory nations agreed to stop producing landmines and destroy all mines in their possession. The effort convinced the Norwegian Nobel Committee to award the Nobel Peace Prize to both Williams and the ICBL. As of now, 156 countries have signed the Ottawa Treaty. Notably absent from the list: the United States, China, India and Russia. Since 1998, Williams has served as an ICBL Campaign Ambassador, speaking on its behalf across the globe. In 2004, Forbes recognized her as one of the 100 most powerful women in the world. Leveraging her visibility, Williams helped form the Nobel Women’s Initiative, an organization started in 2006 by all six of the living female Nobel Peace Prize laureates: Williams, Shirin Ebadi, Wangari Maathi, Rigoberta Menchú Tum, Betty Williams and Mairead Corrigan Maguire. Their mission is to use the prestige of the Nobel to advocate for women’s rights, peace, justice and equality around the world. The Initiative is active in Sudan — in 2007, Williams lead a High Level Mission on Darfur for the United Nations’ Human Rights Council — as well as in Burma, Iran, Israel and Palestine. The international scope of the Nobel Women’s Initiative benefits from Williams’ experience with the ICBL, which she says was successful because it didn’t dictate how groups in different countries should push the banning of landmines. The ICBL encouraged activism that was customized to the culture and politics of the particular country in which it was being applied. Williams has spoken about the need for such a movement in opposition to nuclear weapons and power. “There must be a coordinated international movement where citizens of each country appeal to their leaders in their own way to prevent nuclear proliferation,” she says. 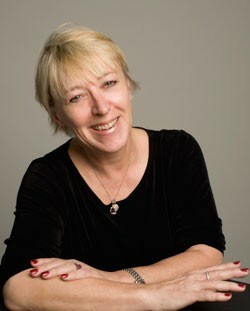 Jody Williams will speak on Thursday, August 6, for Nuclear Disarmament Day on the steps of Burlington City Hall at noon, and will attend a public luncheon at Halvorson’s Upstreet Café on Church Street, 1 p.m. She will also speak at the Brownell Library in Essex Junction at 4 p.m. Info, 862-2024.